Android live wallpaper is not a general Activity application – it is special WallpaperService. And you cant implement it in pure C++ using NativeActivity. All my core is cross-platform C++ so i implemented two-way communication between C++ and JAVA. From C++ NativeActivity you can call JAVA classes through JNI and from java service you can call native (c++) methods of engine core. The tricky part that all this communication involves a lot of different threads. Wallpaper service has its own thread, but rendering should be performed in another one. My native C++ core is launched as third thread and spawns other async threads which could call some java methods. But i got through all this nightmare using mutexed queues of events. As result i got full functionality of my engine at the background of android launcher. 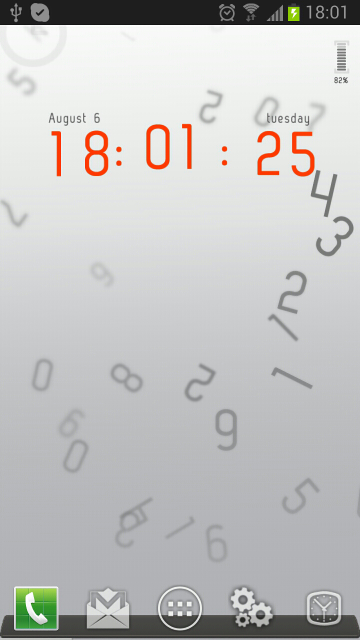 When i only started working with android i wrote small live wallpaper in pure java (with no OpenGL). Wasted only couple of evenings and even lost the source code. But recently i was surprised when discovered that it has more than 100.000 downloads (https://play.google.com/store/apps/details?id=back.livenumbers). It does not even work properly on my Note 2 now. But the point is that now i have smooth OpenGl ES 2.0 animations/effects in couple with engine functionality. Probably, i will create couple of stylish backs fused with some in-code widgets (like battery indicator, weather forecast, clock, calendar date or something else) as implementation will be relatively easy now using my engine. Any suggestions on this matter are welcome. This entry was posted in Android, Applications, C++, Kobald, OpenGL on 6 August, 2013 by Victor Laskin.